Flowers left for Hull student Libby Squire are to be turned into pot pourri. 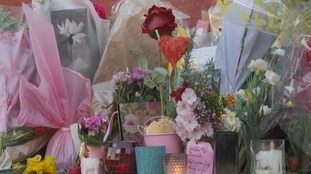 Tributes were placed at the bench were Libby was last seen, on the corner of Haworth Street and Beverley Road. The 21-year-old was found dead last week. Libby’s parents have visited the bench to see the flowers and read messages, and asked that the flowers did not go to waste. The flowers will be moved to Hull Community Church for Mother's Day morning, and then volunteers will spend the rest of the day turning the petals into the scented material. Libby studied philosophy at Hull University. She went missing in the early hours of February 1. Her body was found in the Humber Estuary last week. Police are treating her death as homicide. The pot pourri will be given to her family and friends, and the community. The church, which is at the junction of Cott Rd and Newland Ave, is asking volunteers to come forward to help from 11am and also for people to donate jam jars as containers for the pot pourri. If you have brought flowers, cards and tributes, thank you so much. You can know that Libby’s family will always have a memory of your kindness and love." Libby Squire's family joined hundreds of staff and students at Hull University on Monday to remember the 21-year-old. Tributes were read and a minute's silence was held outside the Brynmor Jones Library on the campus. The University of Hull has set up a fund in memory of student Libby Squire. Libby Squire's family joined hundreds for a minute's silence today. Her body was identified by fingerprints, an inquest heard.